We made it to the Anglesea Hotel on a Friday summers evening just before they stopped serving food at 8:30. We found a table outside, rather than in the dated feeling interior dining area. 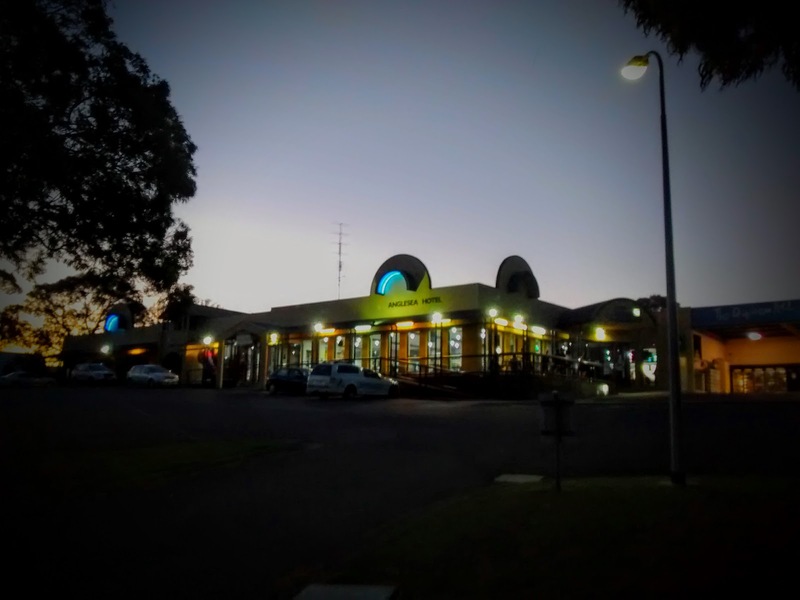 We swiftly scanned the menu featuring plenty of standard dishes and the specials before ordering at the counter. 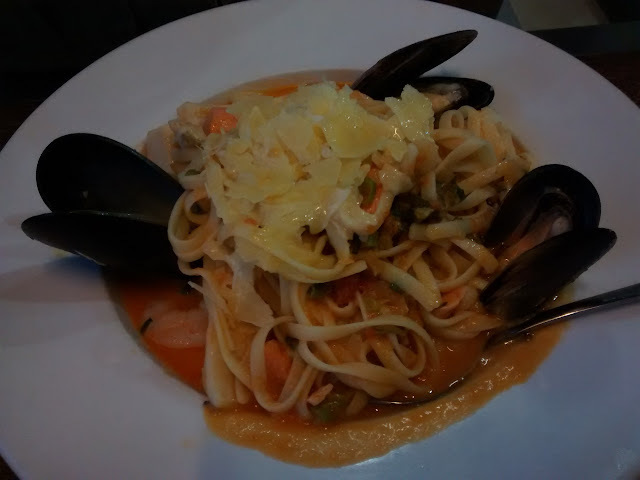 The seafood linguine did feature some decent mussels, prawns and scallops but the creamy tomato sauce was a miss. 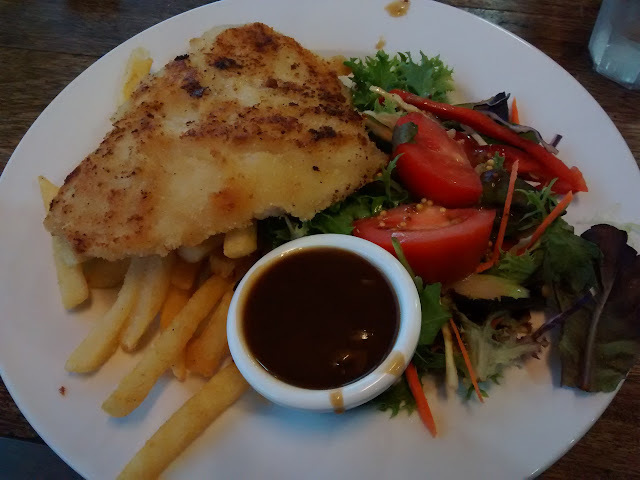 I stuck to a basic dish of chicken schnitzel with chips and salad which was well executed. The sauce was fortunately contained as I'd chosen poorly and it didn't suit the dish. Both mains were in the mid twenty dollar range. The service was fine but I don't think we'd go out of our way to rush back.